Sonam Kapoor attends a photocall for 'Pad Man' at The Bentley Hotel on January 18, 2018 in London, England. Sonam Kapoor was impossible to miss in this mega-flared red pantsuit by Kojak Studio at the 'Pad Man' photocall. 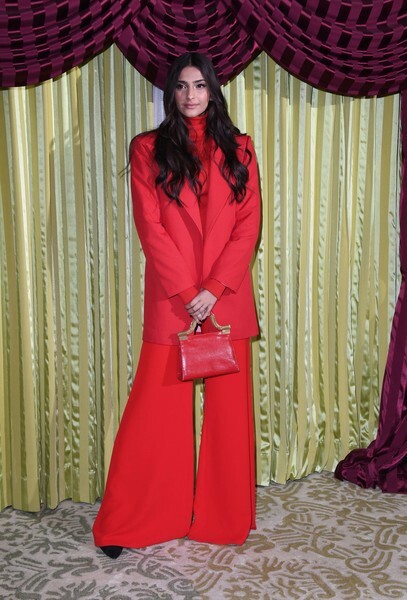 Sonam Kapoor matched her suit with an elegant red leather purse by Thale Blanc.